Melissa McCarthy attends the 30th Annual Palm Springs International Film Festival Film Awards Gala at Palm Springs Convention Center on January 3, 2019 in Palm Springs, California. Melissa McCarthy completed her look with a fringed black velvet purse. 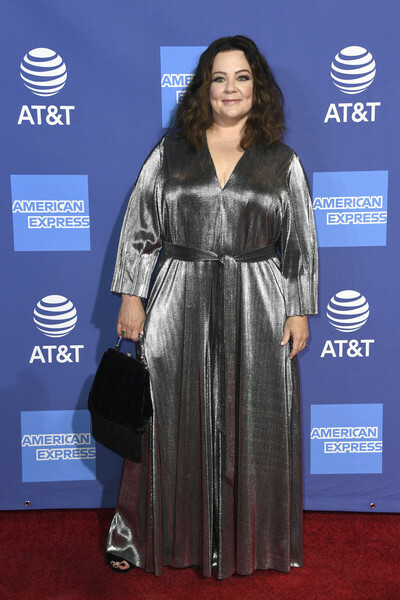 Melissa McCarthy shimmered in a silver V-neck gown by Daneh at the 2019 Palm Springs International Film Festival Awards Gala.